As seen in Farmhouse Style Magazine Summer 2019! Announcement Rustic art for your farmhouse home decor! Fine art prints, canvas, wood signs and plaques. In a variety of genres including farmhouse, industrial, nature & beach decor. Rustic art for your farmhouse home decor! Fine art prints, canvas, wood signs and plaques. In a variety of genres including farmhouse, industrial, nature & beach decor. Farmhouse Decor Set of 4. Rustic Country Home Decor. Neutral Beige Yellow Tan. 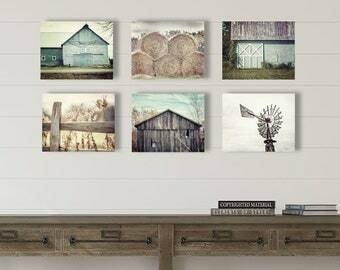 Farmhouse Wall Art Print Set. Canvas, Wood Signs. Rustic Home Decor. Farmhouse Decor. Barn Landscape Photography. White Grey Green. Country Home Decor. Print, Canvas, Plaque. Fixer Upper. Rustic American Flag Wall Art Print Set of 4. Patriotic Americana Decor. Farmhouse Decor American Flag Art. Canvas, Prints, Wood Signs. Rustic Red Farmhouse Decor. Country Chic Decor Old Red Barn Print, Canvas Art, Wood Sign or Plaque. Farmhouse Wall Art. Fixer Upper Decor Farmhouse Wall Art Set of 4, Rustic Farmhouse Decor, Country Decor, Rustic Chic Wall Decor, Barn Print Set, Canvas Art. Black and White Barn Landscape. Black and White Farmhouse Decor. Greyscale Barn Photography. Fine Art Print, Canvas Art, Wood Sign, Plaque. Beach Decor, Beach Art, Beach Prints or Canvas Set, Blue Ocean Art, Blue Beach Art, Beach Wall Gallery Set of 4 Prints, Pastel Beach. Teal Abstract Fine Art Print, Canvas, Wood Sign or Plaque. Nautical Abstract Wall Art. Aqua Blue Turquoise Modern Wall Art. Bathroom Decor. Black and White Kitchen Wall Art Set of 6 Prints or Canvas Wraps. Farmhouse Kitchen Decor. Fixer Upper Style Kitchen Decor. Gifts for Her. Modern Farmhouse Decor. Teal Farmhouse Wall Art. Farmhouse Wall Decor. Set of 4 Prints. Barn Photography. Cottage Decor. Shabby Chic Decor. 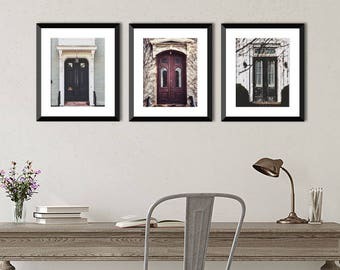 Rustic Home Decor Set of Vintage Door Pictures, Office Decor, Architecture Prints, Industrial Art, Distressed Door Prints Set of 3. 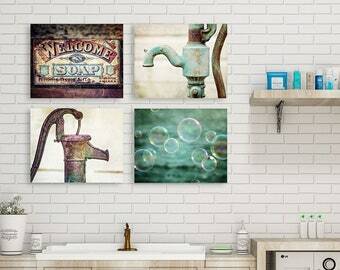 Rustic Bathroom Wall Decor. Farmhouse Bathroom Decor. Bathroom Art Prints. Country Bathroom Wall Art. Set of 4 Prints. Set of 4 Canvases. Laundry Room Decor. Laundry Room Art. Bathroom Decor. Bathroom Art. Bathroom Prints. Teal Red Aqua Turquoise Brown. Farmhouse. Rustic. Shabby Chic Home Decor. Blue Floral Nursery Decor. Teal Aqua White. Flower Photography. Cottage Wall Art Decor. Print Canvas Plaque Wood. Industrial Decor Print Set of 4 Vintage Cameras. Industrial Office Decor Set. Canvas, Prints or Wood Signs. Wall Art for Men. Shabby Chic Decor. Nature Photography. Ivory Hydrangeas in a Bronze Vase Home Decor. Wall Decor. Flower Print, Floral Canvas Art or Plaque. Rustic Home Decor. Red Farmhouse Decor. Red Barn Print. Farmhouse Wall Decor Red. Autumn Fall Rural Country Landscape Photography. 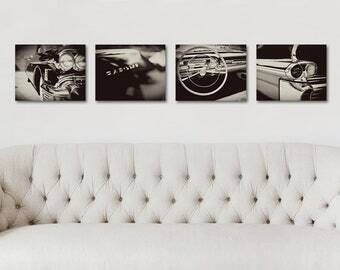 Vintage Cadillac Prints, Black and White Classic Cadillac Pictures or Canvas Arts, Gifts for Men, Gifts for Dad, Classic Car Prints. Canvas Art: Farmhouse Canvas Art, Barn Landscape Canvas Wrap, Rustic Home Decor Canvas Wall Art, Beige Tan White Blue, Gifts for Women. Beach Decor Set of 4. Nautical Decor. Teal Blue Aqua Turquoise. Coastal Wall Art. Ocean Photography. Nursery Decor. Bedroom Decor. 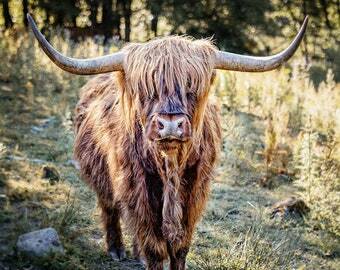 Highland Cow Wall Art, Scottish Cow Print, Highland Cow Print, Scotland Photography, Animal Art, Cow Nursery Decor, Kids Room Decor. 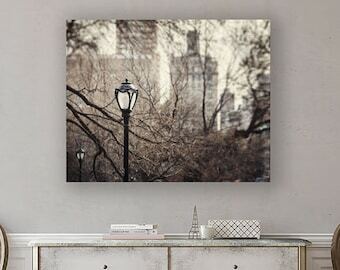 New York City Print, NYC Wall Art, New York City, Soft Grey Decor, Central Park Bridge, Urban Decor, New York Print or Canvas Art. White Barn in the Snow, Rustic Home Decor Barn Art Print or Canvas, Fixer Upper Decor Decor, Winter Farmhouse Decor, White Wall Art Farm. 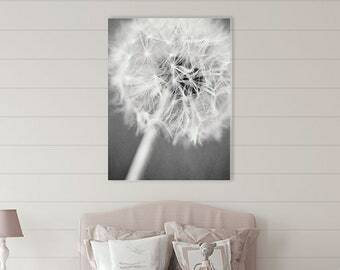 Black and White Dandelion Print or Dandelion Canvas, Girl's Room Decor, Nursery Decor, Bedroom Decor, Gifts for Women, Gifts for Girls. Farmhouse Decor. Rustic Country Home Decor. Blue White Gray. 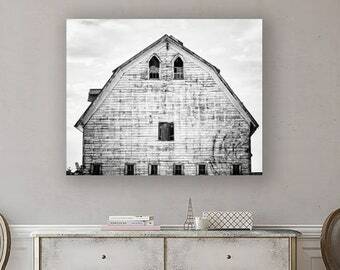 Farmhouse Wall Art Print. Farmhouse Canvas Art. Barn Landscape Photography. Industrial Bathroom Wall Decor. Laundry Room Decor. Bathroom Art Prints. Industrial Decor. Farmhouse Bathroom. Black, Green. Kitchen Decor. Landscape Print, Yellow Gold Beige, Farmhouse Decor, Farmhouse Large Print or Canvas, Rustic Decor, Living Room Decor, Farm Print. Farmhouse Print or Canvas Art, Rustic Home Decor Print, Bird's Nest Print, Beige Tan Neutral, Shabby, Square Wall Art for IKEA Ribba Frame. Baseball Print or Canvas Art, Babe Ruth Quotation Art, Gifts for Boys, Baby Boy Baseball Nursery, Baseball Canvas, Baseball Print. Shabby Chic Farmhouse Decor, Modern Farmhouse, Living Room Decor, Teal and Beige Rustic Farmhouse Set of 6 Prints or Canvas, Barn Pictures. Canvas Wall Art: New York City Canvas, Central Park Lamppost Print, New York Landscape, Canvas Art of New York City Lamp. Train Decor. Office Decor. Industrial Decor. Art for Men. Brown Art. Masculine Wall Art. Railroad Print. Train Tracks Canvas. Boys Room Art. Laundry Room Decor, Laundry Room Art, Laundry Prints, Laundromat, Vintage Laundry, Sepia Red Brown, Gifts for Mom Grandmother, Set of Four. Sepia Bathroom Decor Print Set, Rustic Sepia Wall Art Print Set of 4, Discounted Sepia Bathroom Photos, Old Fashioned Country Bathroom Art. 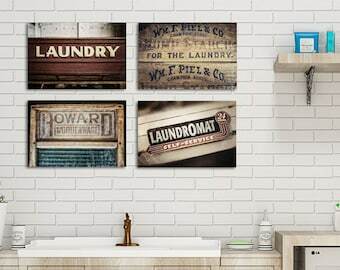 Laundry Room Decor - Laundry Room Print or Canvas Art - Art for Laundry Room - Rustic Laundry Room Wall Art - Vintage Laundry Room Decor. Dandelion Print, Dandelion Wall Art, Art, Dandelion Canvas, Brown Wall Art, Brown Canvas, Gifts for Her, Gifts for Girls, Bedroom Decor. Dark Blue Wall Print or Canvas Art, Navy Blue Decor, Dramatic Cloud Print, Blue Nature Print, Texas Art, Clouds Picture. Teal Bathroom Wall Decor, Bubbles Picture, Nursery Decor, Baby's Bathroom Art, Aqua Bathroom Wall Decor, Bubble Picture, Print or Canvas. This purchase exceeded my expectations! It is fantastic! Lisa is one of the best sellers I have encountered on Etsy...quick delivery, exceptional packaging, and a true sense that she loves what she does. I look forward to purchasing from her again and I highly recommend her work! 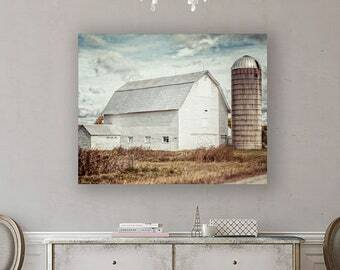 Farmhouse Decor, White Barn Art, Rustic Farm Landscapes Print or Canvas of 3, Country Home Decor, Farmhouse Style, Farmhouse Art Prints. 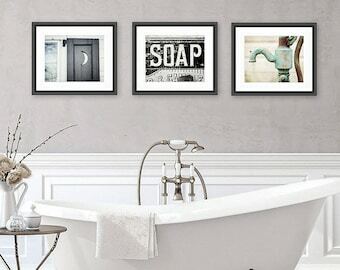 Love how this 16x20 canvas wrap looks in this bathroom. Also: Coveting those floor tiles! 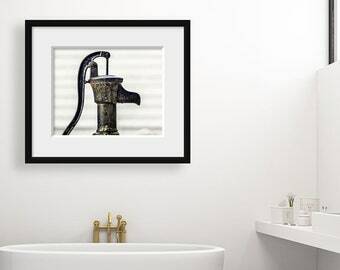 Black and White Bathroom Print or Canvas Art, Water Faucet Print, Black and White Bathroom Art, Laundry Room, Water Pump Picture, Gallery. Working...with a little RHOBH for background noise. My new Rustic American Flag print in 11x14 matted to 16x20. This bit of Farmhouse Americana is a perfect gift - the mat creates a lovely presentation and it’s all ready to pop into a frame. American Flag Art. Patriotic Decor. Farmhouse Decor. Americana Wall Art. Country American Flag. Red White and Blue. Flag Wall Art. The cabinets on the right store all of my packaging and shipping supplies. My computer desk and dual 13" printers. My trimming, packaging and shipping worktable. I'm so lucky to get to do what I love...from home. This is my beautiful office where I go to work every day. Hey there, I'm Lisa! I fell in love with photography back when big hair and shoulder pads were in style, and George Bush (the first one) was President. In the mid 00s, I operated a newborn & child photography studio in Atlanta, but after several years of chasing toddlers I switched back to fine art, as stationary objects don't run away or poop on you. What will you find in my shop? OLD THINGS. If it's new...I make it look a little lived-in and softened-up. 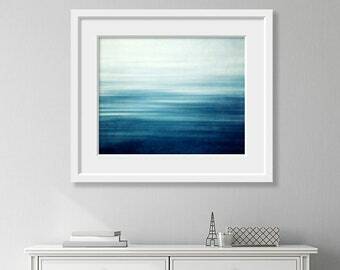 My personal decorating style is a combination of clean + texture, which is reflected in my photographs. I also love neutrals: Grey, white, black, beige. 'Modern Farmhouse' is what all the cool kids say. Artwork is the perfect way to add that look to your home. Our family has moved and traveled often, so my shop has a wide variety of subjects, from barns to machines, old signs, and nature. Everything you see was photographed and edited by yours truly. Just ask my kids. "Do we have to stop AGAIN, Mom?" Yes, yes we do. I also personally handle every order, question, request and email. I am very (very) particular about my materials and suppliers, guaranteeing you'll receive a product you'll love. On the personal side, I just celebrated my 23rd anniversary with my wonderful husband Vic. We have two kids: Ava (12) and Aidan (18). I love them dearly when they're not bickering. When they are bickering, I love wine. I also love coffee, OrangeTheory, puppies, the Atlanta Falcons (Rise Up! ), cooking, podcasts, and climates that aren't snowy. 99% of my wardrobe is grey, and I'm beyond happy that current fashion makes yoga pants acceptable anywhere. Proprietor of Lisa Russo Fine Art, my goal is to photograph lovely rustic things for your home decor, and ensure they reach you in perfect condition. All images are photographed by me and I oversee all orders personally. Thank you for visiting! My 18 year old son Aidan helps out when he can. His hand-trimming skills are beyond compare and he also handles online maintenance tasks and organization. To create this unique, ready-to-hang product, my Houston lab prints my edited and resized artwork in-house onto primed and distressed wood planks, which are then UV sealed to resist scratching. My canvas lab prints my finished and resized artwork on archival artist canvas which is wrapped around a wood frame. Canvases arrive ready-to hang with finished backs and pre-installed hanging wire. While smaller print sizes are created in my studio, I've worked with this professional print lab to produce my large-format artwork for over 10 years. Thank you so much for visiting my fine art photography shop. Please review the sections below for information on payment, shipping, returns and copyright. Bulk and wholesale orders are welcome - please contact me for more information at Lisa [!at] Lisarussofineart.com. All of my products are custom made to order, and typically go into production right away; so if you need to make a change try to let me know asap. If you're not happy with your purchase in any way, let me know! I'm always here, and I'll take care of you whether it be a refund, exchange, upgrade, you name it. I like to think my customer service is what sets me apart: I want you to be completely satisfied with your art! Prints ship in 2-3 business days unless otherwise noted. Canvas Wraps, Plaques and Solid Wood Signs ship in 3-4 business days & Planked Wood Signs ship in 3-4 weeks. Please check my shop announcement for any changes in shipping times due to holidays or vacations. Most items ship via USPS or FedEx to the shipping address indicated at checkout. International Orders: Please allow up to 6 weeks for your item to arrive (but hopefully much sooner!). The tracking number I send will follow your package until it leaves the US, but then it's in the hands of your country's postal system. If you haven't received your order in 6 weeks, please check that your local postal office isn't holding your package hostage for customs and/or duty fees. Speaking of those...they aren't included in the shipping charges, so if any are assessed, you are responsible for them. All images Copyright Lisa Russo Fine Art. Do not copy, reproduce or distribute without express written permission. Thank you!